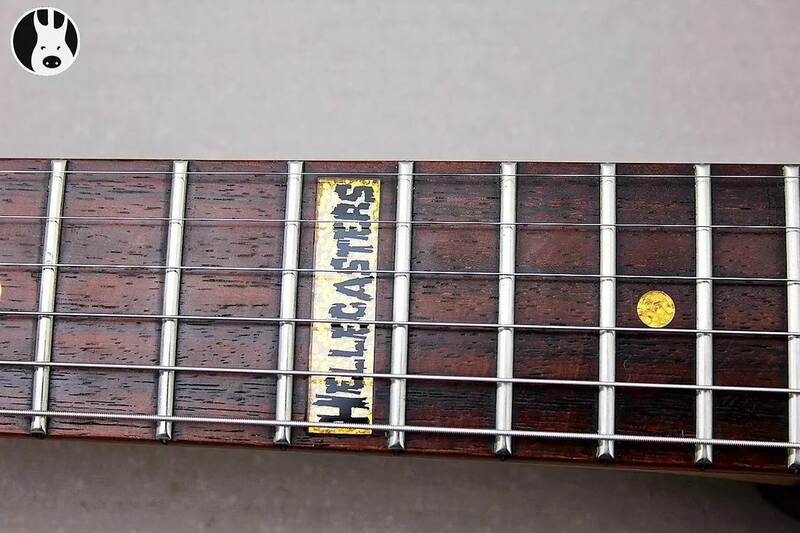 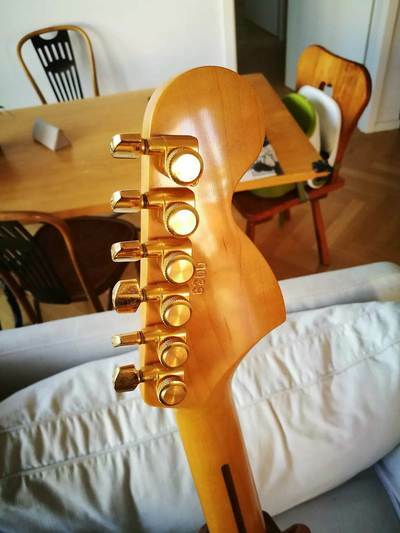 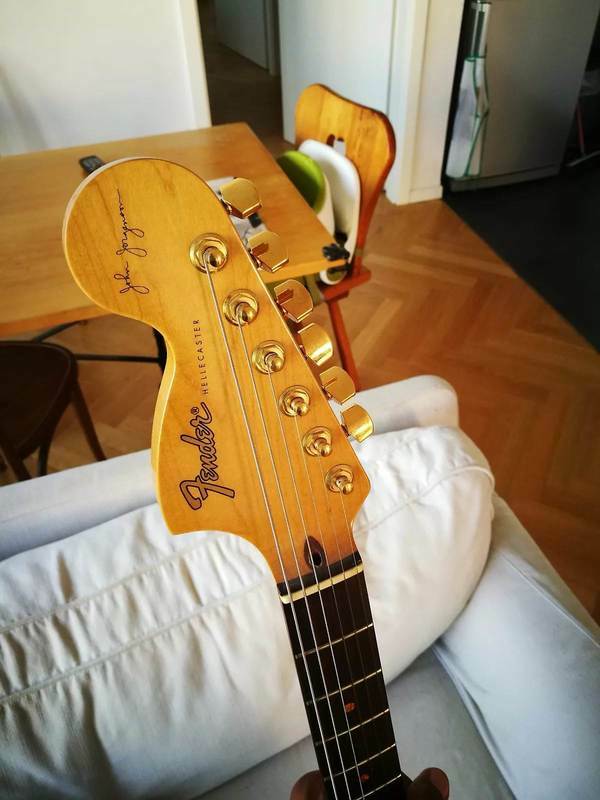 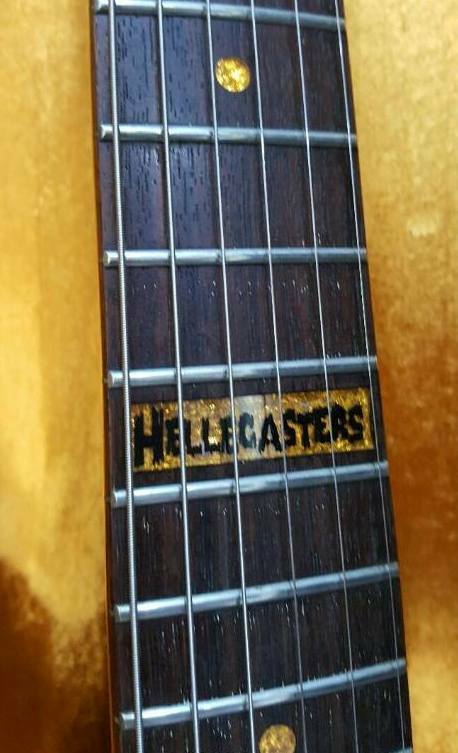 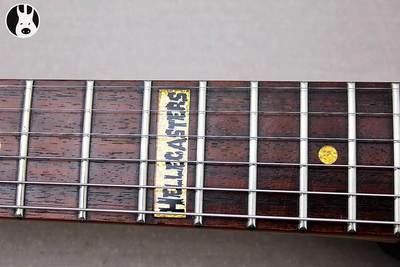 Equipped with three specially-aligned Seymour Duncan split single-coil pickups, the John Jorgenson Hellecaster allows controlled feedback almost anywhere on the neck. 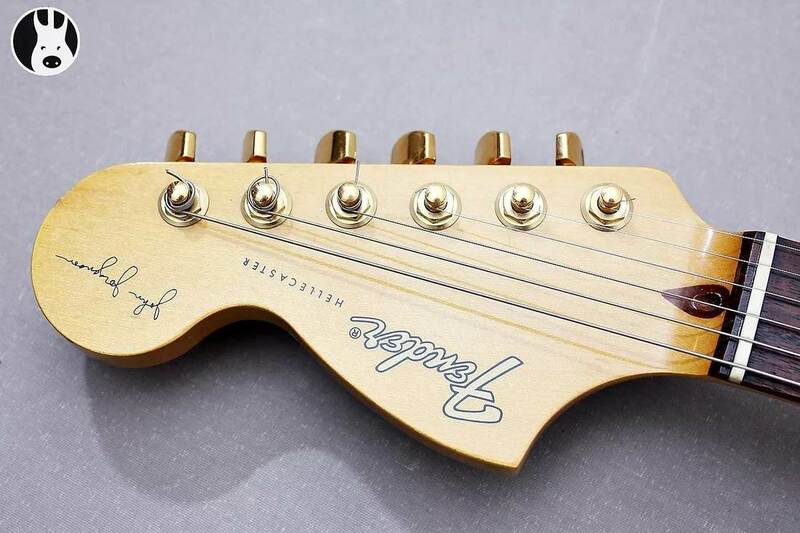 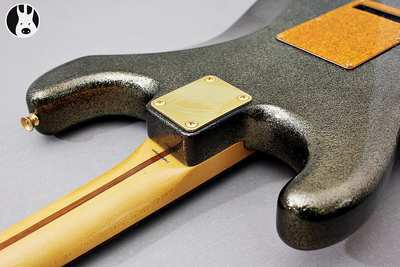 With the flick of a switch you can power up all three pickups at once, then tear into a two-point pivot, non-locking tremolo bar for those outrageous whammy bar attacks. 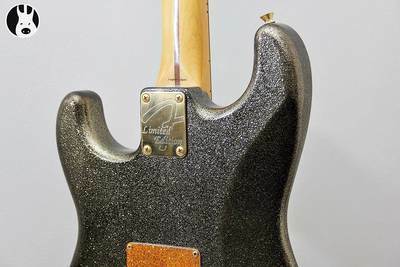 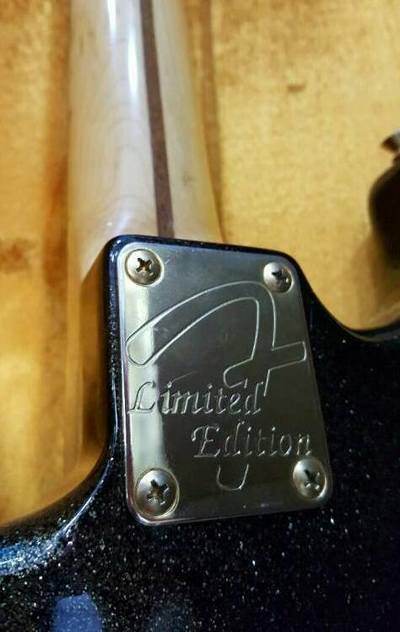 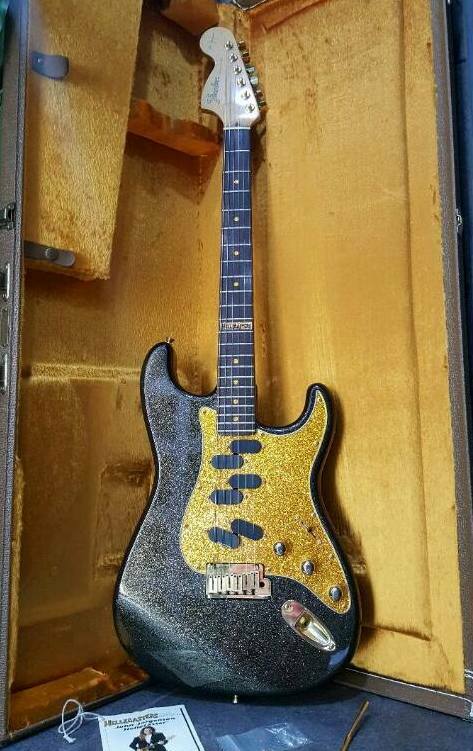 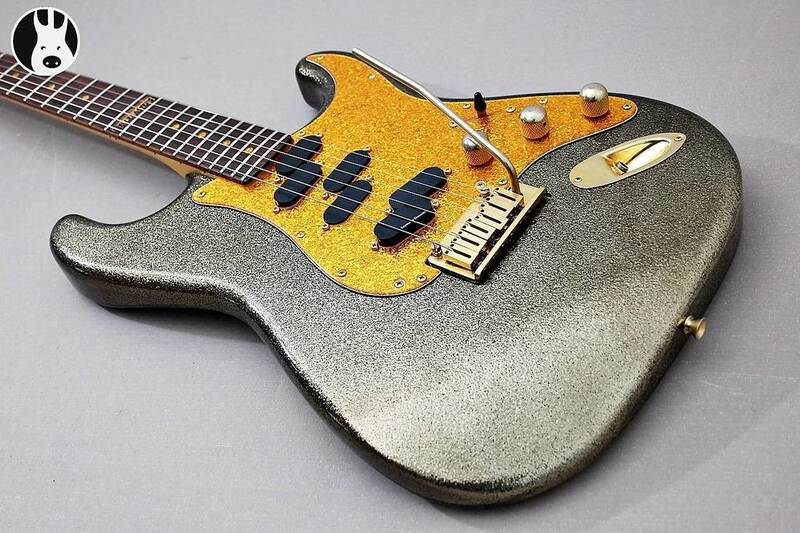 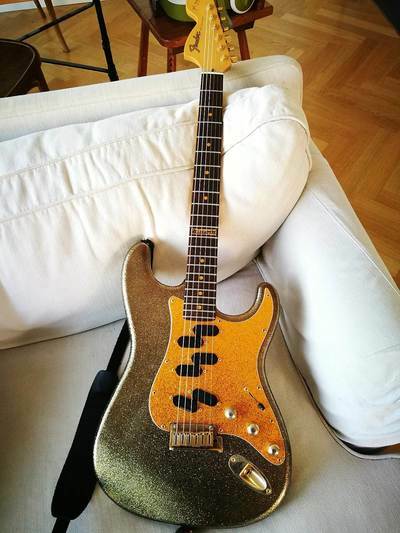 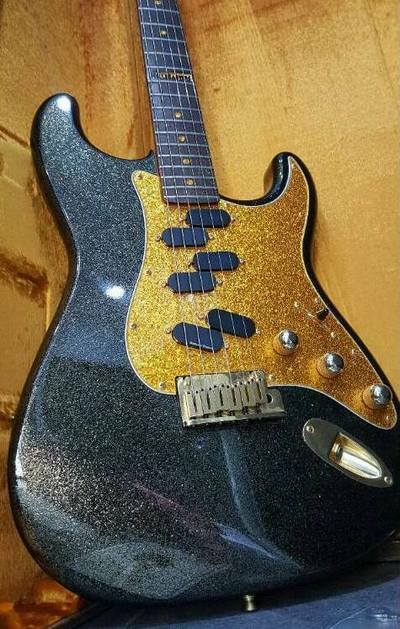 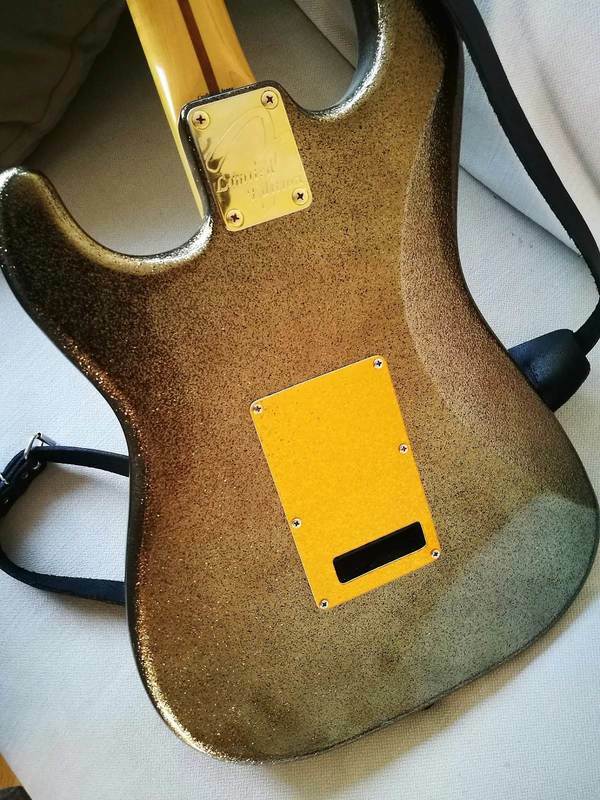 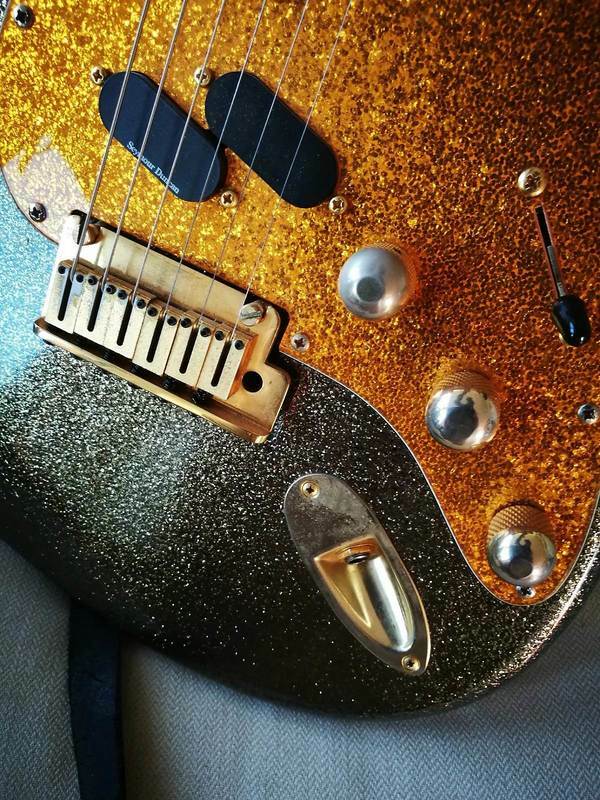 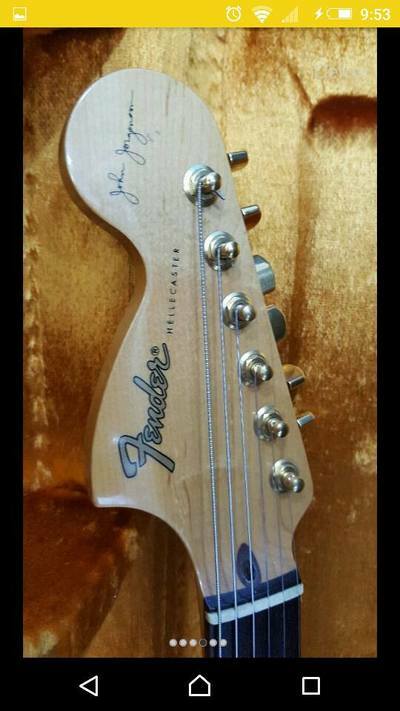 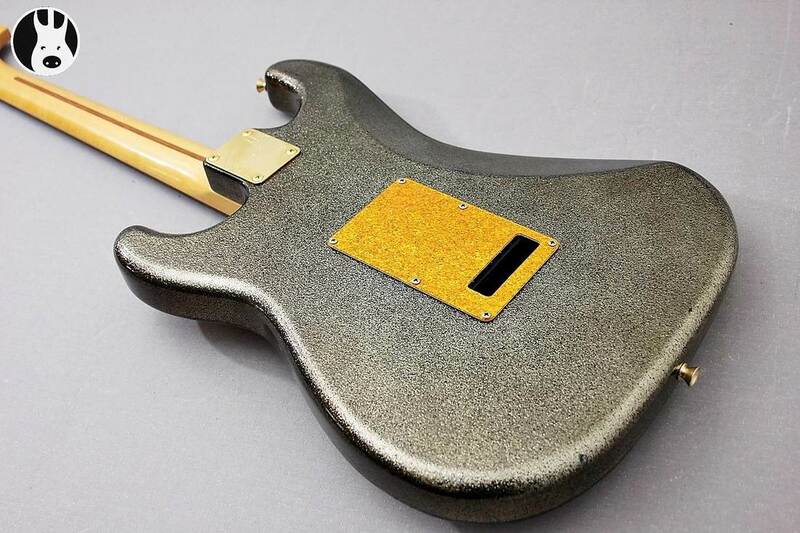 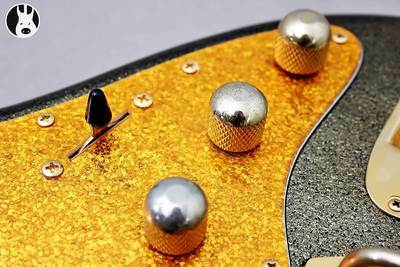 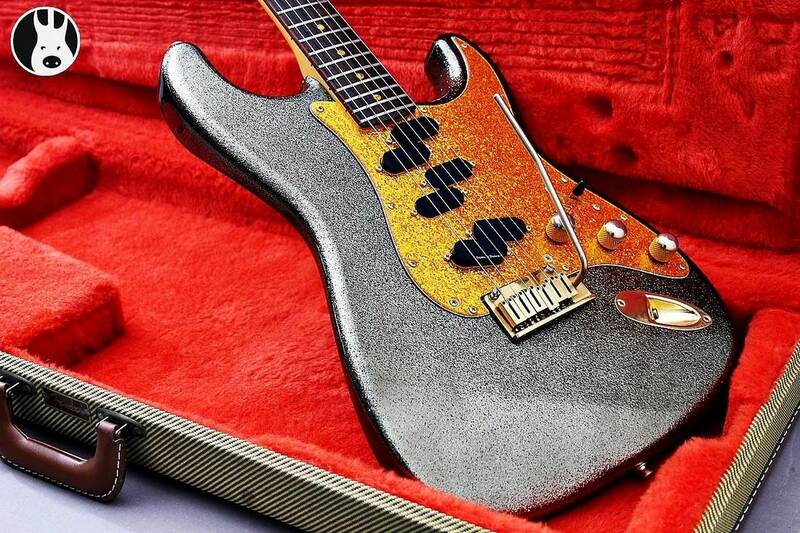 The strat-style maple body comes in a black sparkle finish with a gold sparkle pickguard; the nine-inch radius rosewood fretboard has gold sparkle dot inlays- The neck is made of high-gloss tinted maple and features a reversed large strat headstock with "Hellecasters" inlaid in black script.